Over the course of her three month-long residency at Mia in the summer of 2017, artist Aliza Nisenbaum worked closely with groups in the Phillips and Whittier neighborhoods, including Centro Tyrone Guzman, Hope Community, and Mia’s own security guards, to create three large-scale group portraits each representing their respective communities. Through face-to-face portrait sessions, the artist bonded with her sitters, building a relationship of friendship and mutual trust. The resulting paintings represent the diverse communities that live and work in Phillips and Whittier, some of whom are Latino and Somali immigrants. The exhibition will also feature video documentation of the painting process providing the audience with an intimate window into the community groups portrayed. 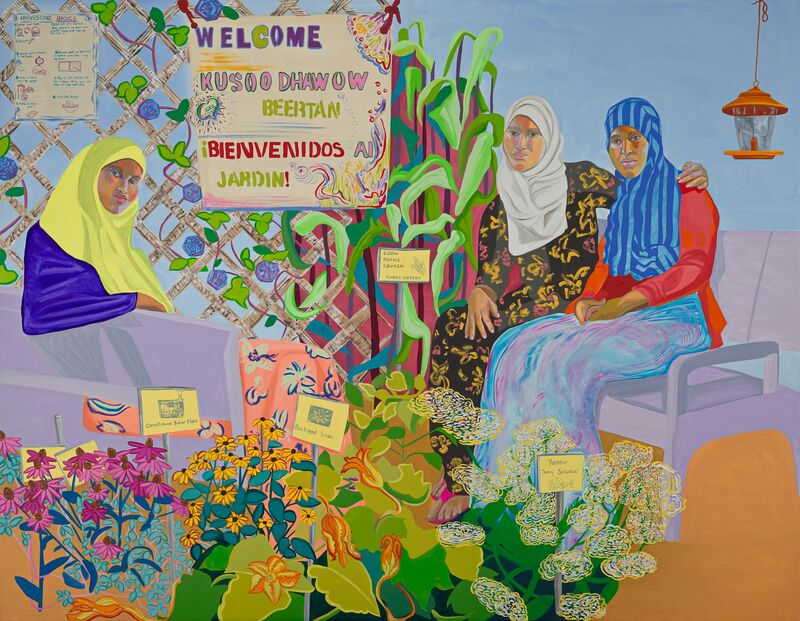 By representing individuals and communities that are under-represented in the history of art and have traditionally been underserved by public arts institutions, Nisenbaum seeks to empower her sitters and visitors alike, instilling in them an expanded sense of ownership and belonging to the museum. To that end, Cargill Gallery will be reimagined as a platform for dialogue and community exchange for the duration of the exhibition, providing a flexible space for programming by community members themselves. Generous support for A Place We Share is provided by the Mary Ingebrand-Pohlad Charitable Foundation.